Blueberry Balloons are an unique balloon company creating bespoke and personalised balloons from their pretty shop in Stratford upon Avon. 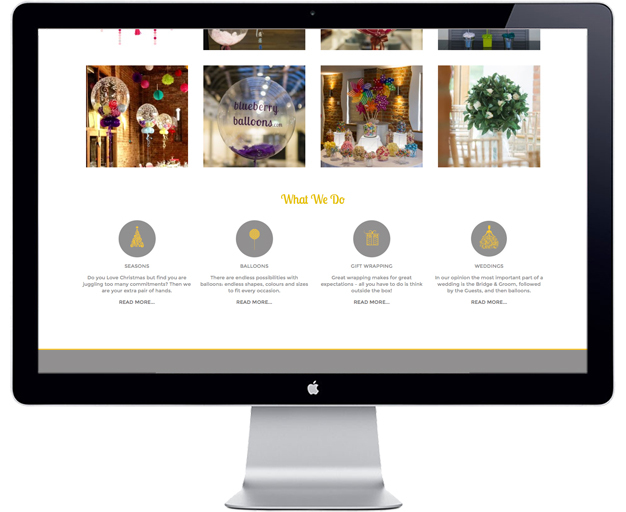 They were looking for a classy yet fun website to reflect their own style, something sophisticated and simple, to help them stand out from their competitors. We created a website that has the perfect balance. The overall style is simple and classy, with pretty gold and silver polka dots and plenty of pictures to show off their fun, creative and innovative products. 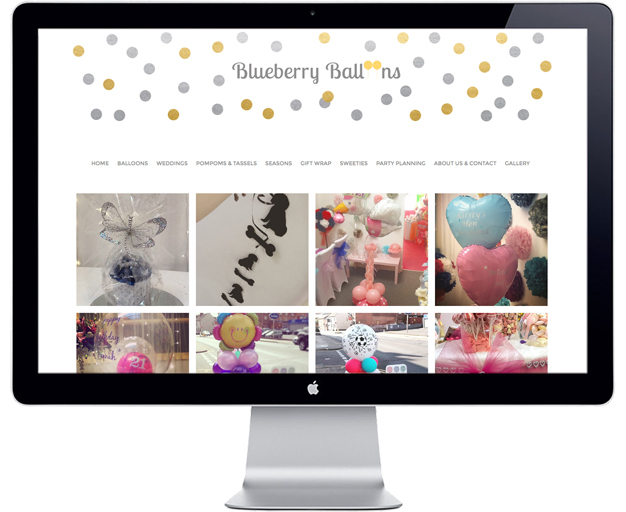 The Blueberry Balloons website was designed with Redwax Ltd.